Today, Wednesday 18 July, Ofsted has published a report looking at childhood obesity, focusing on the role that schools play. The report argues that childhood obesity is an issue that must be tackled as a society. This was covered by The Guardian, The Telegraph, The Mail and The Independent. Schools play a very important role in educating children about health, as well as encouraging healthy practices. We have seen excellent examples of this, including from Thornhill Primary in Rotherham which has begun an initiative to incorporate a mile-long walk or jog into school every day, and Our Lady of Lourdes Catholic Primary School in Bury which has put on a Gruffalo themed picnic for pupils that incorporates healthy eating. Schools cannot fix this issue on their own and work is ongoing across government to halve the number of obese children by 2030. That’s why our Childhood Obesity Plan includes proposals to tackle this issue outside the school gates, such as stopping stores from displaying unhealthy food at checkouts, and introducing clear calorie labelling on restaurant and takeaway menus. We all have a role to play – parents, businesses, government and society – in tackling childhood obesity. Many schools have been leading the way for many years, teaching pupils how to make healthier choices and lead more active lives. We are building on their efforts, investing in facilities and training for teachers to help pupils be healthy and active with our £100 million Healthy Pupils Capital Fund, and supporting primary school pupils to be active at least once a day through our £320 million Primary PE and Sport Premium. As our childhood obesity plan sets out, we are consulting on further measures to tackle the problem outside the school gates, including restricting advertising for unhealthy products aimed at children and preventing shops from displaying unhealthy food at the checkouts. Today, Wednesday 18 July, The Family and Childcare Trust (FCT) have published a report into holiday childcare costs. This was covered by the The Sun and BBC News, whilst the Independent and the Daily Mail also published pieces on the topic. BBC Breakfast also ran an interview with the head of policy at the FCT. The government has invested heavily in childcare to ensure hardworking families have the support they need. By 2020, we will be spending £1 billion per year on delivering 30 hours of free childcare for parents and the higher rates of nursery funding. On top of this, we have set aside £26 million specifically to be invested into kick-starting or improving school breakfast clubs in over 1,770 schools, funded through the government’s soft drinks industry levy. This Government is doing more than any before to support parents with the cost of childcare. We are investing record amounts – around £6billion a year by 2020 – to make sure as many children as possible have access to high-quality care. We are also looking at the most effective ways to support parents with wrap around care for older children, which includes £26million to kick-start and improve breakfast clubs in at least 1,700 schools and £2million to fund free enrichment activities and healthy food to disadvantaged children during the summer holidays. Yesterday, Tuesday 17 July, Charles Clark – the former Home Secretary – released a report on making changes to religious education (RE). The report recommends replacing local syllabuses on RE with a national RE syllabus, and removing the right to withdraw their children from RE. The report was covered in The Times, Guardian and Daily Telegraph. We await the September release of the report by the Commission on Religious Education, which we expect will have taken into account Charles Clark’s work along with the feedback and views of a wide range of RE stakeholders. 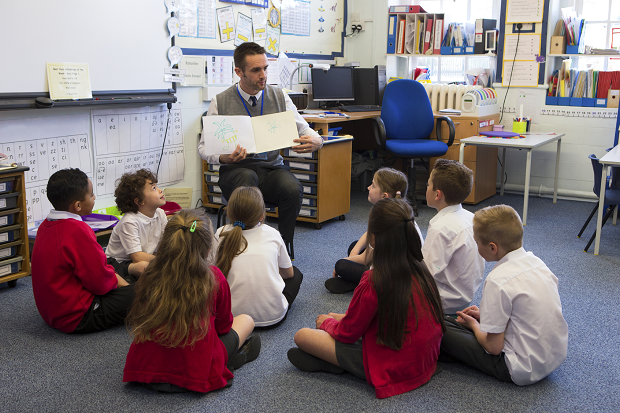 Good quality religious education can develop children’s knowledge of the values and traditions of Britain, and help foster an understanding among different faiths and cultures. All schools are legally required to teach RE and where we are made aware that schools are not fulfilling their legal duties, we will not hesitate to take action. We will consider these recommendations alongside the report by the Commission on Religious Education, which is due later this year.